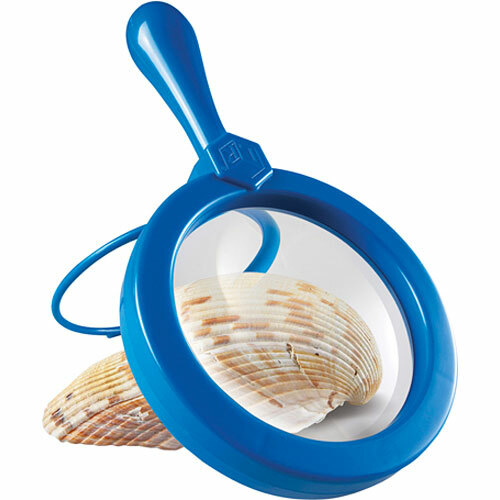 Observe on a grand scale with our extra-large magnifiers, sized perfectly for small hands. Plastic lenses measure 4.5" in diameter each and offer 4.5x magnification. Features built-in stands for hands-free viewing. For ages 3-6 yrs.